Living in Spain isn’t all flip flops and shorts, as it happens. On our mountain in December, it gets very chilly and extremely windy. But our favourite thing about winter is that everywhere there are trees festooned with fresh oranges, looking, a bit bizarrely, like carefully and lovingly placed Christmas baubles. In (yet another) gap in my general knowledge I had no idea that there were different varieties of orange tree fruiting in different seasons – certainly not in the depths of winter – so it’s a particularly delicious pleasure to find them on my doorstep. 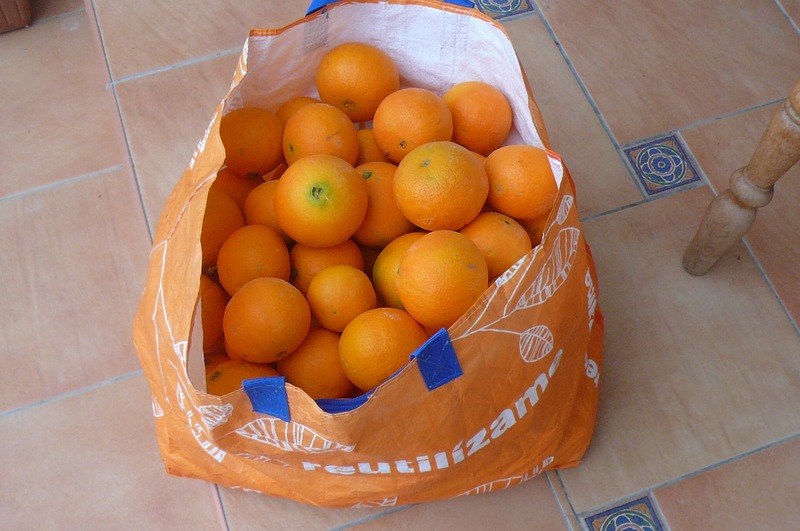 Quite literally on my doorstep in fact, when the other day a local guy who had borrowed some garden shears brought us a huge bag of freshly harvested ‘navalinas’ (sweet, juicy oranges the size of grapefruits) to say thank you. What we love about the winter oranges harvest is that it is such a big part of the village’s everyday life – even the air seems to celebrate it, with the smoky aroma of the orange wood cuttings being burnt in fields and under vast paella dishes at local restaurants. And so, you guessed it, we just had to create a candle. However, the moment you put the smell of actual food in a fragrance, people (including us) can have a funny turn. Generally (there are exceptions, just not many) I’m not keen on the ‘foodie’ thing in fragrances and candles: I don’t get it. I blame the Americans for starting the trend – and I speak as someone who is a huge fan of America (don’t get me started on the joys of New York smells… roasting chestnuts, hot cider, pretzels from street carts… But in your sitting room?! I don’t think so. 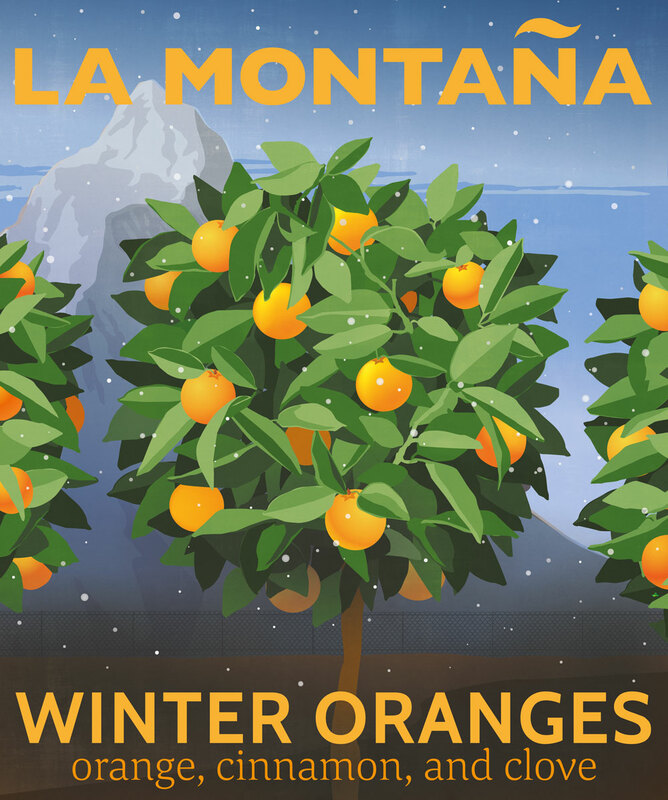 So, back to the brief for our La Montaña fragrance… we wanted our candle to have all the notes of the whole orange (from the zing of the zest to the sweet juiciness of the flesh.) but without being too cloyingly foody. And working with our genius perfumer Marianne Martin we found a way around it, that also completed a kind of circle for us, by including memories of fragrances from our childhood Christmases in England: red apple and a bit of cinnamon and nutmeg. She even added fireside elements – a kind of smokey/woodyness. It’s the freshness that makes it different and uplifting, while the spices give it depth and warmth, and that makes for a fragrance that will carry you right through the winter months. 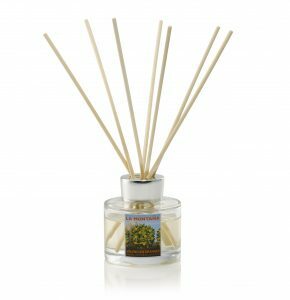 It’s such a favourite with so many customers, that we also developed it into a reed diffuser– Valencian Oranges – which delicately enhances any room it graces.